Fariduddin Ayaz & Abu Mohammed | OK Listen! 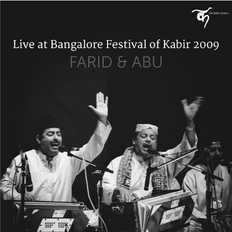 Fariduddin Ayaz & Abu Mohammed are acclaimed qawwals from Karachi, Pakistan and belong to the 700-year-old 'Qawwal Bachchon Ka Gharana' of Delhi. They sing in Urdu, Sindhi, Punjabi, Pushto, Hindi, Poorbi, Persian, Arabic and Turkish, intermingling with aplomb the voice of Kabir with a range of Sufi poets including Jalaluddin Rumi, Sachal Sarmast, Zaheen Shah and others.